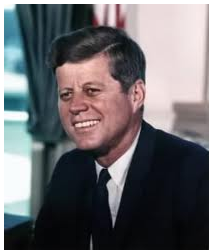 Our research found that Kennedy did not make any public pronouncements about abortion, although it was widely believed he opposed abortion because he was Catholic. He did nominate Justice Byron White to the U.S. Supreme Court and White was one of two justices who dissented in the Roe v Wade decision. But there is no indication that Kennedy nominated him knowing White was pro-life. Kennedy’s sister, Eunice Shriver was reportedly active in the pro-life movement.